We have highly acknowledged organization engaged in presenting a remarkable range of Economical Toilet Paper Roll. 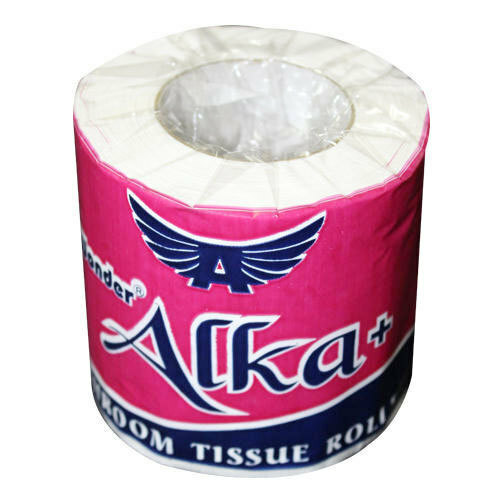 Paper Mahal is a well-reputed firm of the industry, which was incorporated in the year 1991 as the manufacturer and wholesaler of Tissue Paper Napkin, Toilet Tissue Paper Roll and many more. Products offered by us have received massive appreciation from all corners of our concerned customers because of their matchless excellence. Our products are conscientiously manufactured under the supervision of quality controllers using high-grade raw material which are taken from trusted vendor. For maintaining standard quality and flawless dispatch our experts are regular in touch with the latest technologies and also update their processes.